So I somehow ended up with pneumonia for most of June. It was so completely draining and awful! The only upside was that is gave me a lot of time to work on this product! I loved using my Phonics Readers this last school year to help students practice each phonics pattern in context. They loved coloring the books and interacting with the text. Some of students needed me to break our target phonics pattern into easier chunks, so I started using word families with those kiddos. So after introducing the short a sound during whole group I would pull a small group to work on -at words, -am words, -ap words, etc. After they mastered those word families I had them read and interact with my Short A Phonics Reader. 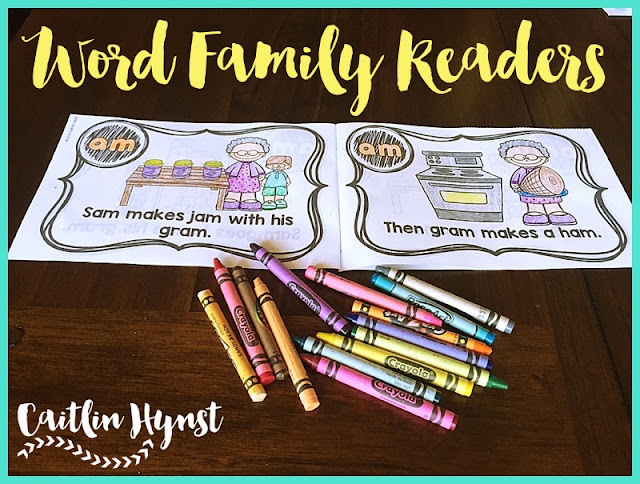 One of my summer goals was to make some easy readers that each focused on a word family so students could interact with each chunk. And my Word Family Readers were born! 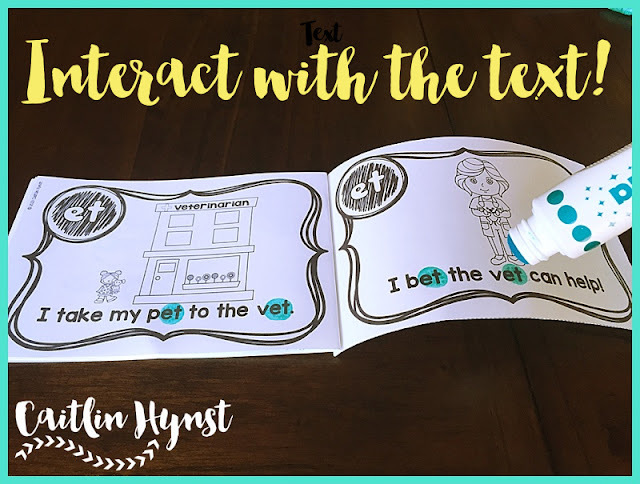 Just like my Phonics Readers it is super easy to have students interact with the text! I've used Wikki Stix, highlighting tape, witch fingers, bingo daubers, and highlighters. 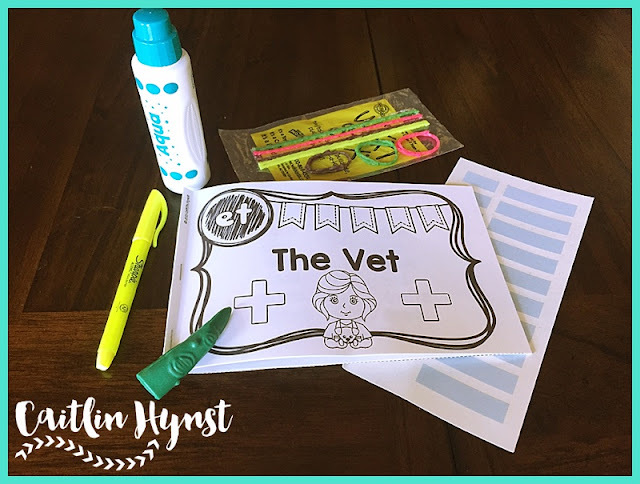 Use whatever you have on hand that will make students EXCITED! Also like my Phonics Readers, these were designed with teachers in mind. I don't have time to fold up little books or put all the pages in order after cutting and I don't think you do either. Those work great when you only have to make 1 copy, but making 30 copies would take forrrrrever. These are one cut wonders! I like to copy double sided, staple the edge (at school I staple with the copy machine and then add a couple reinforcement staples by hand) , and then just cut on the dotted line. Easy peasy, and you end up with 2 readers. This format is so much quicker when you have to make class sets. Here's a preview! It shows the 40 word families that are included. The last few pages show one complete reader (-am family).